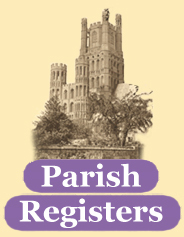 Here is a timeline which gives you a summary of how Parish Registers began, and how they have changed over time. 1538 Cromwell, from the court of Henry VIII, ordered that every wedding, baptism and burial was to be recorded. 1553 There may be gaps in Parish Registers between 1553 and 1558 and the Catholic Mary Tudor was on the throne. 1558 Although early records were made on paper, in 1558 parchment was used, and the older records were supposed to have been copied (although some never were and have been lost). 1597 A second copy of the records had to be made and sent to the Bishop. 1642 There may be gaps in the records during the English Civil War and Commonwealth (1642-1660), as records were poorly kept or hidden, and some have been lost. 1678 Between 1678 and 1814 an affidavit was required to be sworn that when buried, the deceased was buried in wool or a fine of £5 was given. 1751 Calender changes - One calendar year became Jan 1st to 31st December, rather than having each year start on March 25th. 1783 A stamp duty of 3 pence was imposed on every entry, although paupers were exempt. Tax evasion naturally occured, and the Act was repealed in 1794, and declared unsuccessful. 1812 Baptisms, marriages and burials were entered in seperate, specially printed books, eight entries per page and including more information. 1837 Civil registration is introduced.